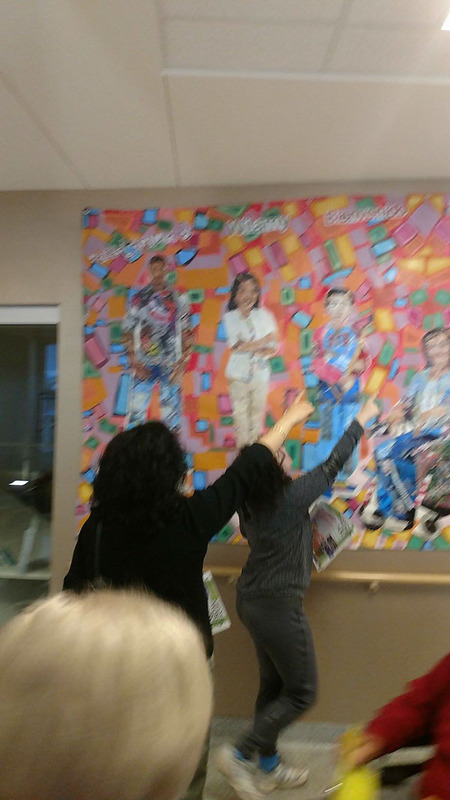 "Welcome Mural" or "Diversity Mural" greets dozens of new patients at the hospital registration, everyday. 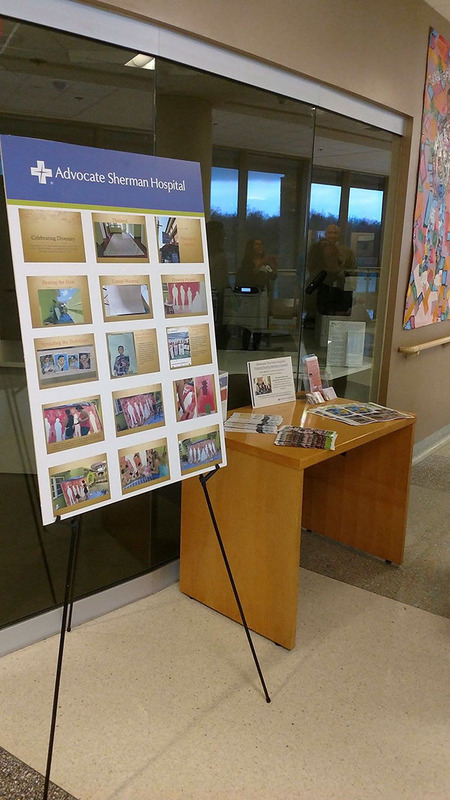 An informational flyer that stands at the hospital's information desk in the lobby. 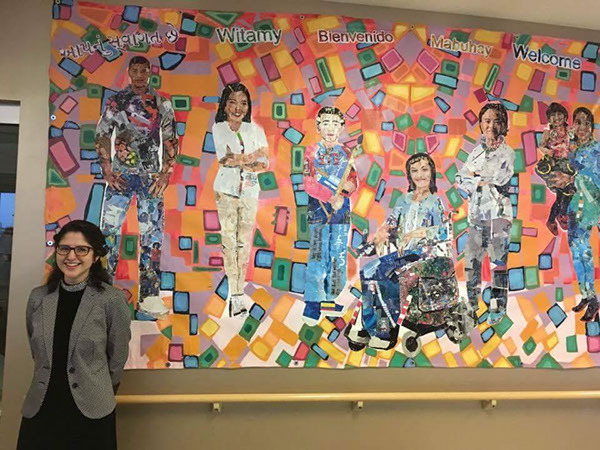 It is part of the hospital's guided walking tour for the patients and families to enjoy various artworks that adorn the halls. 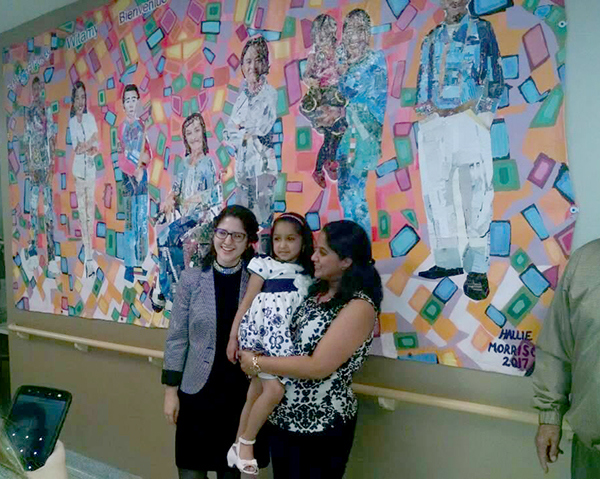 The mural was officially unveiled in a ceremony on the 10th of April, 2017. 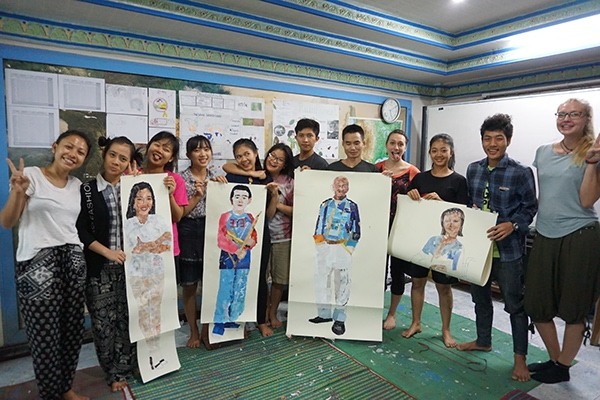 More help came from: local youth in the Juvenile Detention Center, awaiting their prison sentences; international volunteers (Germany, Singapore, the USA) supporting Art Relief International's art relief workshops; and expatriates based in Chiang Mai from Brazil, England, Italy, the USA, and Zimbabwe. Here are the contributing students after our art relief workshop (art therapy + art education), working towards the mural's completion. 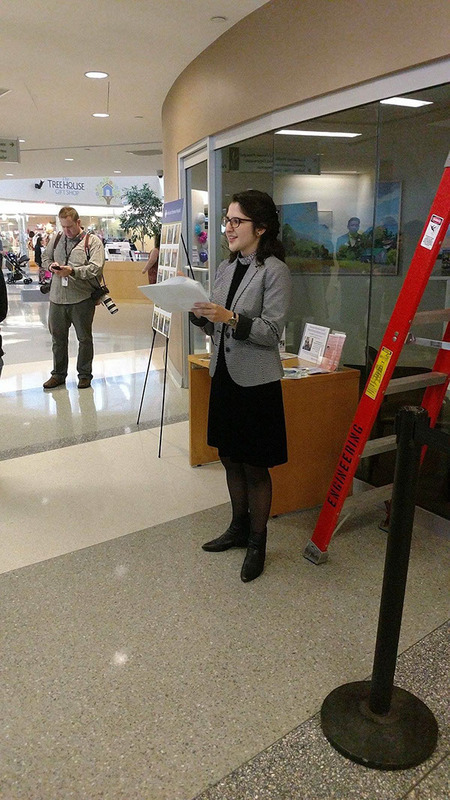 The hospital supported a small presentation of the piece's process, being made in Thailand. 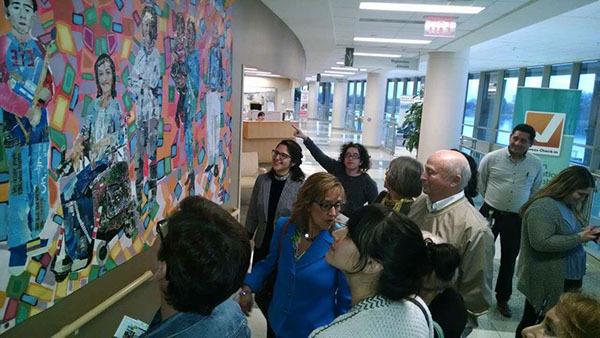 Audience members excitedly pointed out the hidden collage pieces that constructed each individual--photos/magazines from the different staff ethnicities working at the hospital. This mother submitted photos of she and her daughter in their traditional Indian regalia. 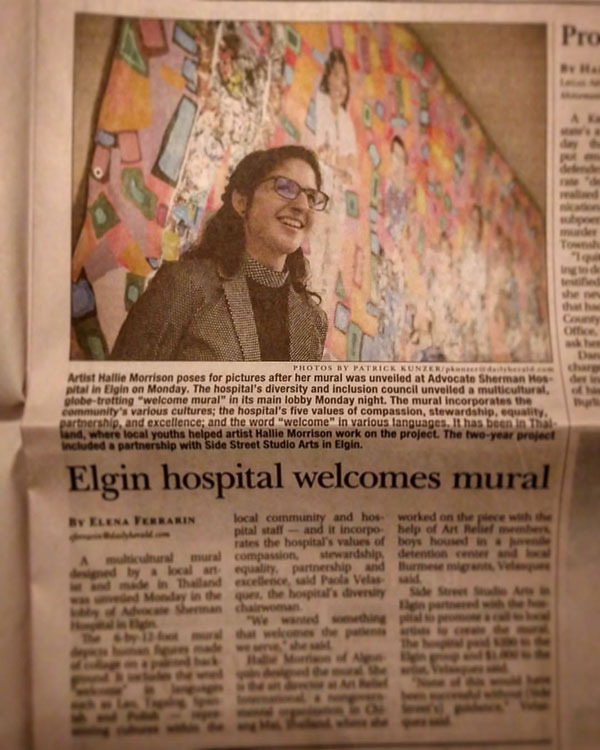 I surprised them as a thank you for their contribution to the project by including them as the Gujarati-speaking figures in the mural. Similarly, the coordinator of this whole community development opportunity had submitted vacation pictures from her family's trip to see relatives in Colombia and Guatemala. 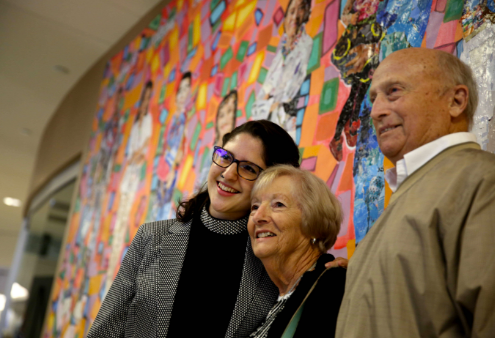 I wasn't aware that the boy I chose to represent the Spanish-speaking nations was her son--so we were both surprised when I included him in the final piece. 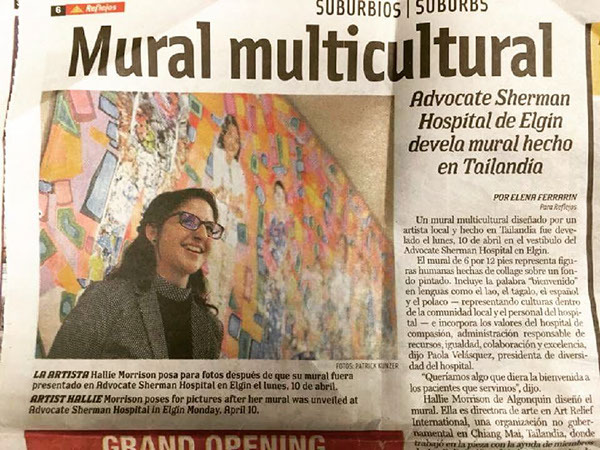 The project was covered in two local newspapers, in English and in Spanish. 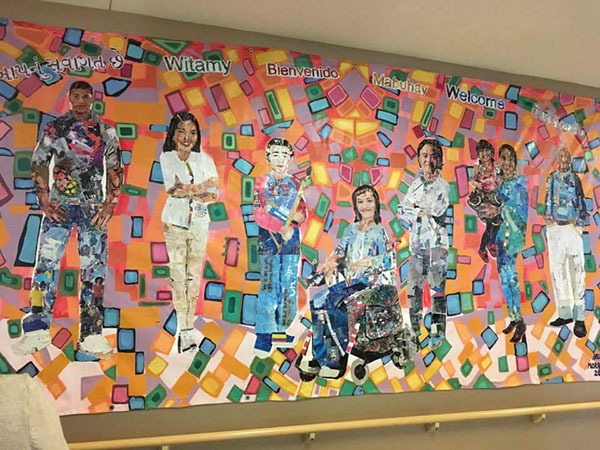 August 2016, I was commissioned to create a welcoming Diversity Mural for the foyer of the Advocate Sherman Hospital in Elgin, IL, USA. April 2017, I hand-delivered the artwork from where I live, work, and create, in Thailand. 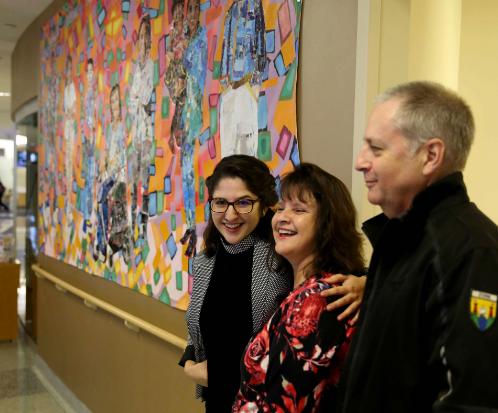 The piece was created wholly in Thailand, traveling over 8,000 miles to its new home, and was created with the help of individuals from over 9 countries. Two marginalized communities in particular added to the collage figures of the piece: Burmese migrant students of college-going age at BEAM (Bridging Educational Access to Migrants--beamedu.org) and local youth awaiting their sentences in the Juvenile Detention Center. 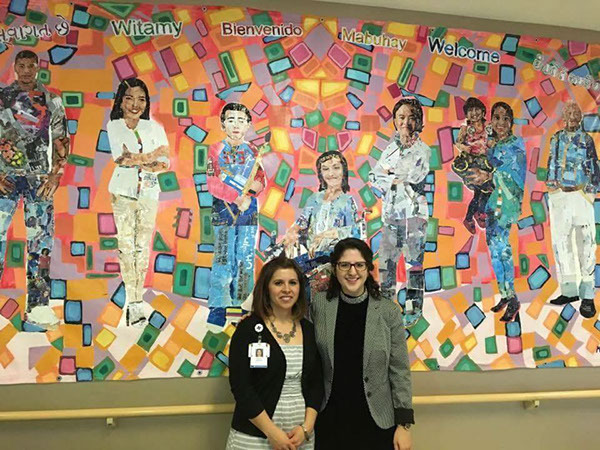 The collage figures represent whole ethnic communities, and above them is the word "Welcome" in the respective community languages that the hospital serves: Gujarati, Polish, Spanish, Tagalog, English, and Lao.